These days, George R.R. Martin is almost as much myth as he is man. 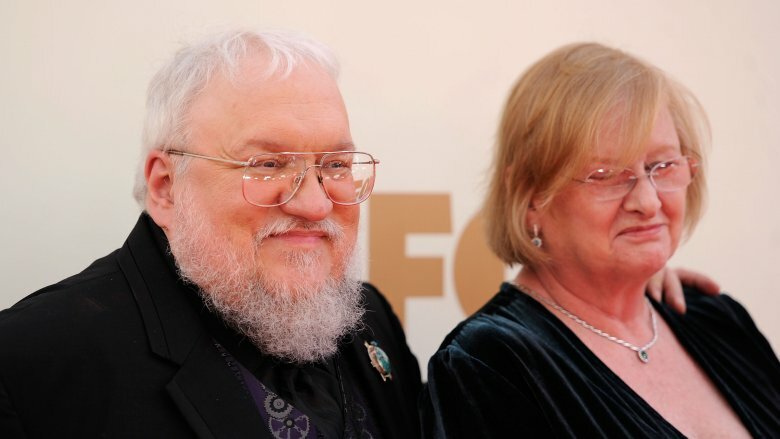 As the writer of the Song of Ice and Fire series that has been adapted into the cultural phenomenon that is HBO'S Game of Thrones, rumors swirl around him like the wintry winds that threaten Westeros. When will he finish the next book? What does he like to read? What were his childhood influences? Will Daenerys murder everyone with her dragons? It turns out, Martin's led almost as interesting a life as some of his characters. He restores independent cinemas, supports mistreated wolves, is a devotee of green chile, and above all, loves the science fiction and fantasy community. 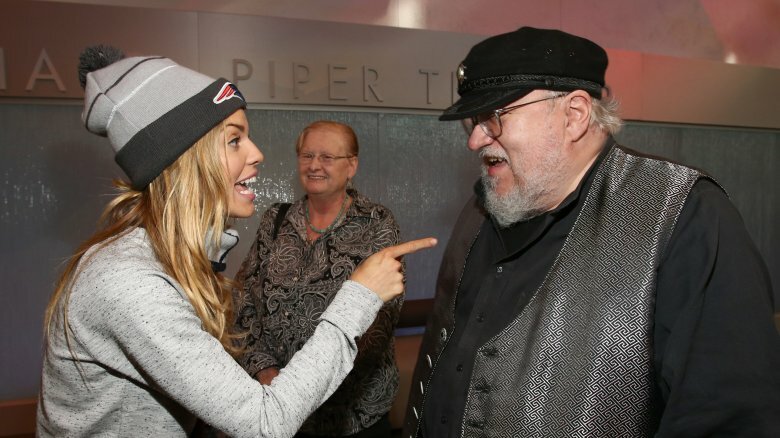 We might not know when The Winds of Winter is coming out, but we can learn more about the man who's plugging away at it — and just how badly the New York Jets are currently disappointing him. 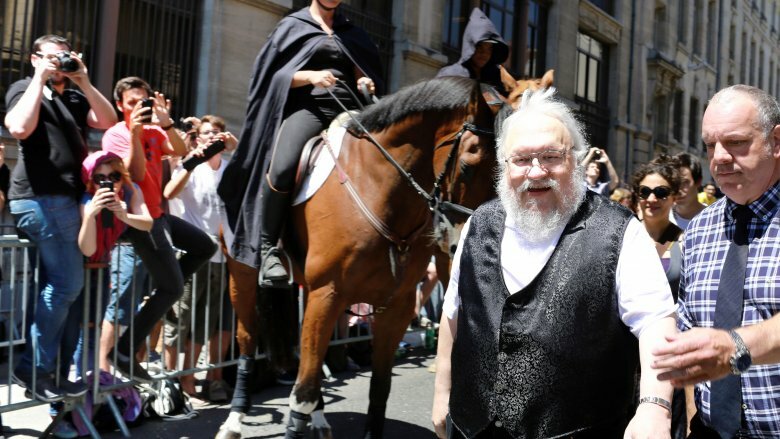 Like so many fantasy authors, Martin's own world of cynical knights and fearsome dragons sprung from a love of other creators' ingenuity. He's hailed Stan Lee, legendary architect of the Marvel universe, as a particularly strong influence. "The Marvel characters were constantly changing," he remarked in 2011, "Stan Lee introduced a whole concept of characterization to comic books and conflict; maybe even a touch of grey in some of the characters." In contrast to the more staid characters over at DC Comics, this was a revelation — one that echoes into the modern day, via the unstoppable juggernaut that is the Marvel Cinematic Universe. Martin's name can be found on the program for 1964's New York Comic-Con (then confined to only one day of programming), in the letters column of more than a few early issues of Fantastic Four, and even among the list of 1965 Alley Award winners for Best Fan-Fiction. Marvel Comics of the 1960s were more than a little like Martin's tales of Westeros: lots of dramatic plot twists, wrenching tests of loyalty, and complex machinations galore. Plus, of course, main characters with the last name Stark. Martin was born in New Jersey and earned his college degree from Northwestern University, yet he's chosen Santa Fe, New Mexico, to be his adult home, his center of work, and the focus of his philanthropic efforts. "I fell in love with Santa Fe when I first visited in 1978 as a tourist," he told National Geographic, detailing its tremendous history, thriving art scene, and moderate size. Santa Fe, he believes, is the perfect blend of small-town feel — it peaks at 80,000 citizens — and big-city amenities, plus a climate that gets all four seasons without reaching uncomfortable extremes. Given that he's lived there since 1979, it seems unlikely he'll be moving anywhere else any time soon. Especially given, he notes, "the question of addiction. When I got to Santa Fe, I became addicted to green chile. You can't get it anywhere else. I can't imagine life anywhere else." 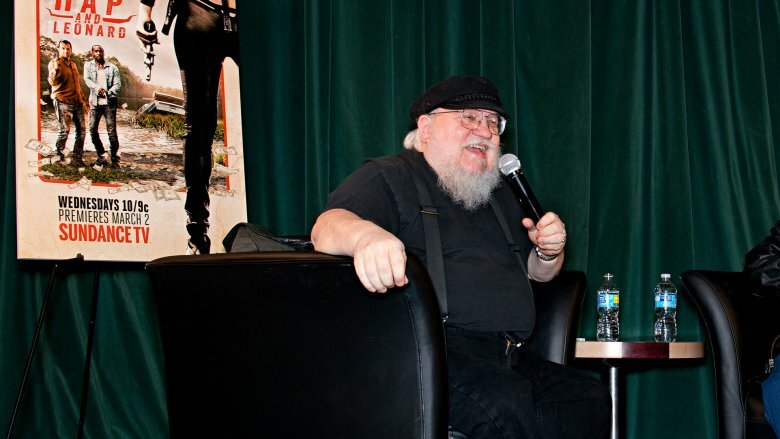 Martin is one of the most visible examples of the writer's life out there. There's an enormous element of scrutiny involved for someone who's reached the peaks of success he has, but it is, by and large, a desirably independent life if one is ready to work for it. Martin hasn't just been putting these hours in as an adult — he's been working as a writer since he was a young child. A voracious reader from an early age, Martin imagined the lives and deaths of pet turtles to be tragic affairs full of drama and mystery, and he managed to sell stories on the schoolyard to his peers for pennies. It wasn't long before he was sending out work to be professionally published, and at only 21, he accomplished just that with the sale of "The Hero" to Galaxy Magazine in 1971. Thus began his professional career, and the start of more than a few fantastic worlds beyond imagination — one of which has conquered the globe in a way the little boy from Bayonne could have scarcely dreamed. 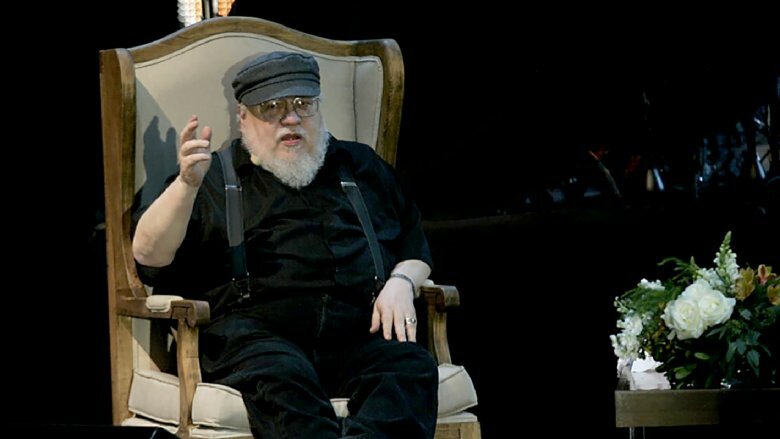 Though Martin's sitting astride the fantasy world now, adorned with all the laurels and accolades a writer could ever want, there was a time when he was obliged to work a day job. He's had a few over the years, from teaching English and journalism at Clarke University to working with AmeriCorps alongside the Cook County Legal Assistance Foundation, but perhaps his most fascinating gig was in the world of professional chess. In the wake of Bobby Fischer's legendary prowess, chess came into a brief but intense vogue. Martin, no stranger to the game, was able to work as a tournament director for the Continental Chess Association. Though the flame of chess fever burned and and bright enough to last for long, this gave Martin the stability he needed to cross the gap from newbie writer to genuine, recognized talent. By the time the job fell through, he was well on his way to writerly fame. It should come as no surprise that Martin has been part of fan communities for decades now. 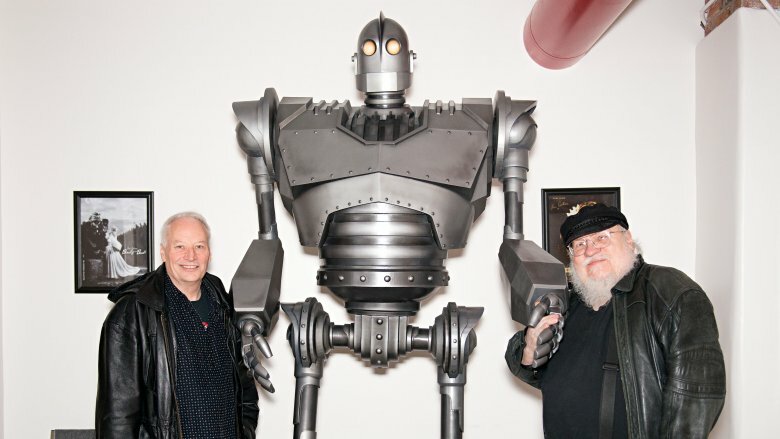 Indeed, his participation spans genre and medium, encompassing superheroes, comic books, prose fiction, sci-fi, alternate history, and, of course, fantasy. But if there is one event to which he has devoted himself utterly, it is Worldcon. Worldcon, more formally known as the World Science Fiction Convention, is one of the most prestigious and important conventions of its type, so old that its history was interrupted by World War II. Martin has been involved in Worldcon operations since the 1970s, and remains a vital part of it today: a quick look at the Worldcon tag on his blog reveals an annual build-up, climax, and debriefing taking place around the central event. Perhaps his greatest contribution to Worldcon is the Hugo Losers Party he runs for those who do not garner science fiction's highest award. Though it started as an impromptu gathering held in his hotel room, it has expanded into an event unto itself that he is delighted to keep rolling, year after year. 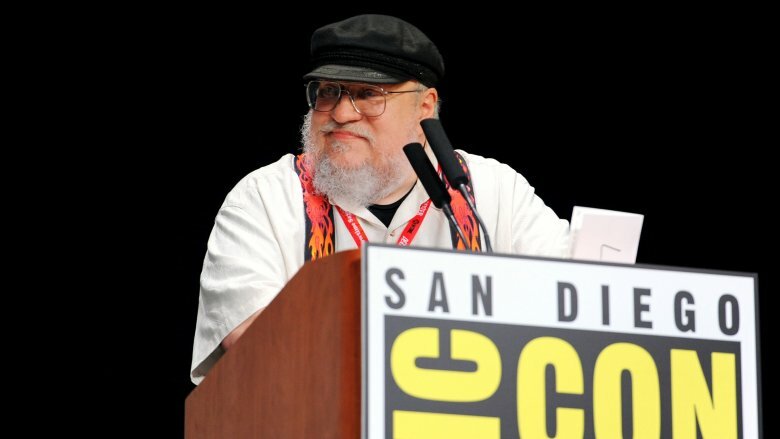 It'll have some competition in 2020 though: that year, Martin will also be serving as the Worldcon Master of Ceremonies. 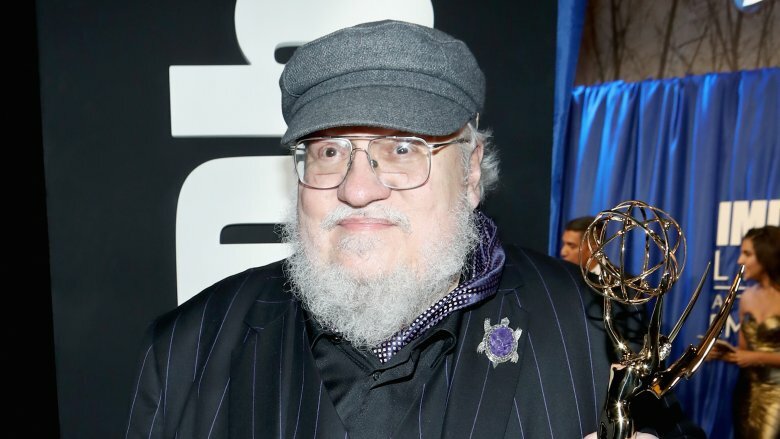 Though he's most famous for the medieval world of Westeros, Martin has written some very forward-thinking science fiction more concerned with computers than with knights and vassals. It's a bit of a surprise, then, that he can be so reluctant to adopt new technology… but boy, can he be reluctant. You might be thinking he carries a cell phone with buttons. Perhaps he eschews a cell phone entirely. Maybe you've imagining him hunched over an early-2000s PC, typing away as Clippy suggests a new way of spelling "Daenerys Targaryen." You would be reasonable, for who among us does not have a relative or friend who clings to the operating systems and software they've grown accustomed to? But you would also be wrong. Martin writes A Song of Ice and Fire, by his own admission, on "an old DOS machine running WordStar 4.0, the Duesenberg of word processing software (very old, but unsurpassed)." He does not have Twitter or Facebook, he goes on to detail, preferring to outsource that sort of work to authorized people who do not discuss his private life. Rather, he confines himself to LiveJournal, where he does some very informal blogging (though, as its title insists, it is "Not a Blog,") devoting his time to what most consider a dying website. Strange though this is, it's exactly the way he wants things. Let's just hope he's got an IT guy fluent in DOS. We've established that Martin is a passionate participant in fan culture. It might be surprising to learn, then, that he's opposed to fanfiction. Then again, as the progenitor of a wildly popular fantasy world that has consumed the imaginations of millions of fans, he's got his reasons. Largely, this is an opinion borne out of a desire for aspiring writers to put themselves first. As he requests on his personal website, "…don't write in my universe, or Tolkien's, or the Marvel universe, or the Star Trek universe, or any other borrowed background. Every writer needs to learn to create his own characters, worlds, and settings. Using someone else's world is the lazy way out. If you don't exercise those 'literary muscles,' you'll never develop them." Solid words, though subsequent discussions have cropped up on his blog, revealing that this proclamation has been met with controversy. He's gone on to explain that he has seen fanfiction lead to copyright infringement, loss of income, and simple disrespect, occasionally of a tenor that overshadows a creator's work. Fair enough, George R.R. Martin. We'll not be seeing The Adventures of Tyrion Lannister and His Pet Dragon authorized any time soon. Animals pervade the world of Westeros, sometimes as adversaries (as anyone who's been on the wrong end of Daenerys' dragons could attest to), often as food (as seen in lusciously descriptive passages of honeyed chicken and roasted goat). But perhaps most importantly, they are protectors, companions, and guides, like the Stark children's direwolves. 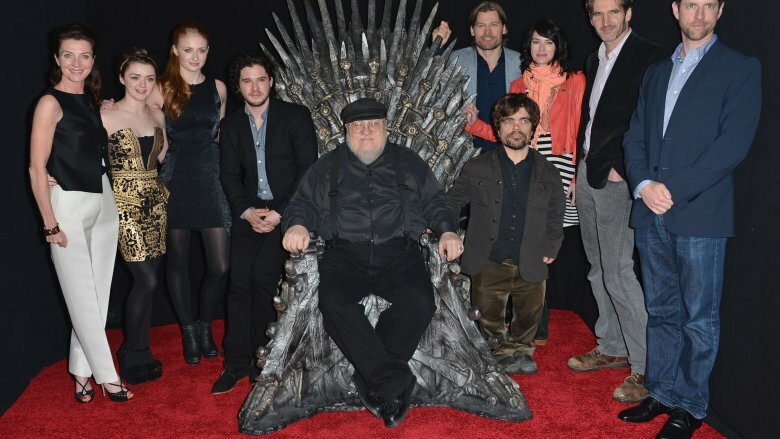 Of course, many of this group meet grisly fates, from Sansa's swiftly-sacrificed Lady to Robb's beheaded Grey Wind. But Martin's sympathies are with the poor creatures, and he makes this clear in his real-life support of wolf welfare through the Wild Spirit Wolf Sanctuary. Located near his New Mexico home, Wild Spirit rescues wolves and wolf hybrids from the mistreatment they are unfortunately subject to, and works to educate the public about the cruelties of the wolf pet trade. As he told upset fans, "Shed no tears for Lady… but if you have a spare buck or two, send it to Wild Spirit in her name, and you might help save a real wolf or three." Westeros is a place of war. From the great and official ones that require waving banners and wagon trains full of supplies to the internal ones that depend on subterfuge and knives in the back, nobody is safe. Notably, Martin's portrayal of conflict is largely without chivalry or glory, preferring, instead, to linger on the gory details and the long and festering costs that war incurs in emotional, economic, and agricultural devastation. War is, to put it simply, a nasty business, and Martin's history, it turns out, is a factor in this. Martin was a conscientious objector to the Vietnam War, spending his time working with a legal aid society instead of fighting, a choice he has elaborated on in the modern day. 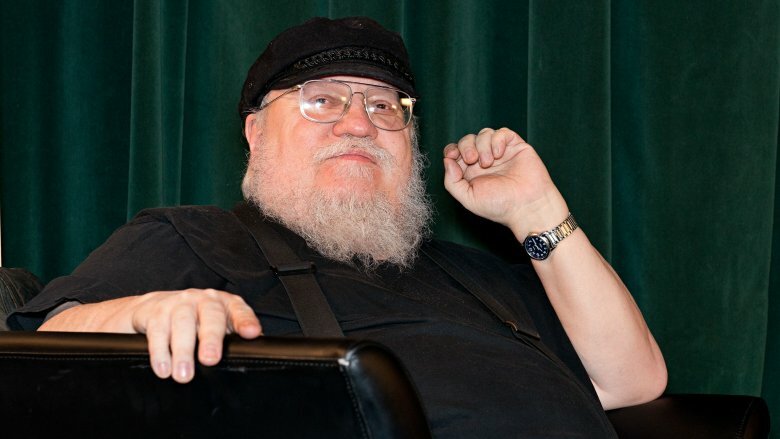 War, he emphasizes, is not inherently good, and though he did not set out to write the Song of Ice and Fire series as "an allegory, like Tolkien is sometimes accused of" (in reference to Tolkien's service in World War I), he does allow that his beliefs have influenced the series and will continue to. 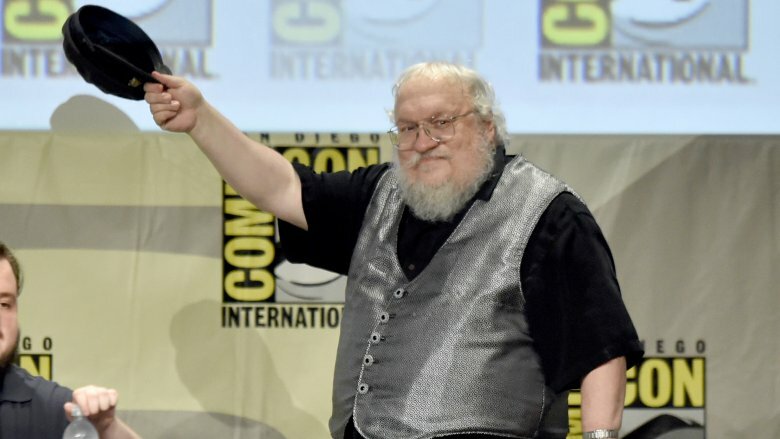 One can only guess at what this will mean for the final season of Game of Thrones and the events of the final two books, but we can safely assume one thing: war will happen, winners and losers will emerge, and it won't be pleasant for pretty much anyone. Mainstream media often depicts sports and literature as diametrically opposed. The nerds hate the jocks, the jocks hate the nerds, and never the twain shall meet at either Super Bowl nor Comic-Con. 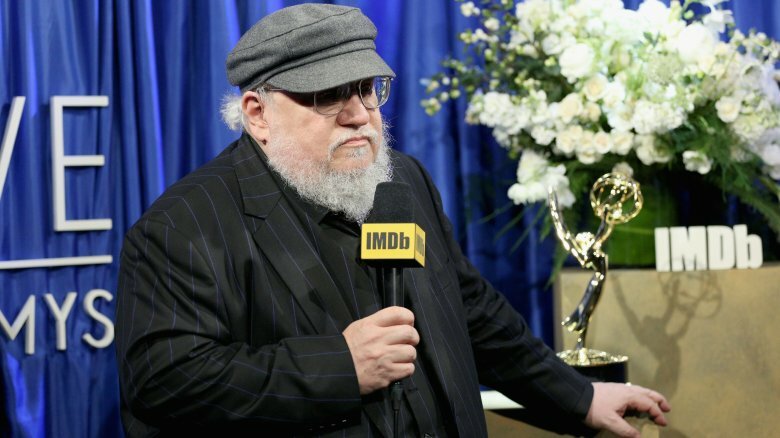 But every so often, someone bucks that stereotype — and one of those people is George R. R. Martin. Behold the NFL tag on his blog and see a tale of woe, triumph, and all the emotions in between that the New York Jets inspire in this diehard fan. "What can I say? Life is cruel and full of pain," reads an October 2018 entry. "It looks to be a long long year." He's no stranger to this particular brand of misery, however. A 2014 NJ.com article has him reflecting mournfully on that year's similarly bleak outcome. When the Jets fail him, he can, at least, turn to his love of the New York Mets… except when they too are letting him down. He is, at least, consistent in his lamentations across sports: "Life is miserable and full of pain… when you're a Mets fan," he remarked in 2015. Fans can only hope that he doesn't take his frustration out on any beloved characters. Though Martin is most known for his creations on the printed page and their adaptations onto the small screen, he's a cinephile as well. He decided to showcase this love of film in a big, philanthropic way when, in 2016, he bought the defunct Jean Cocteau Cinema, a single-screen movie house that had been closed for a decade. After realizing that he had the means to buy it and restore it to its former glory, Martin did just that, and the Cinema reopened in 2016 in a cloud of movie magic and locally iconic popcorn. Though Martin remarks that the renovations and preparations cut fairly close to opening day, resurrecting the cinema as a place devoted to the arts — it plays host to book talks, magic shows, festivals and more beyond movies — was a labor of enormous love. As he wrote before the work began, for Martin, "bringing this beloved theatre back to life is my small gesture at giving something back to Santa Fe, the community that has been my home since 1979." Now the theater is open, the popcorn is buttered, and don't worry: they do indeed screen episodes of Game of Thrones. Martin has lived a life utterly devoted to art, imagination, and creative possibility. He has remained, throughout it all, totally open to new mediums, some of which he explores himself through screenwriting, prose writing, and the celebration of cinema, but he is also sometimes content simply to fund and make possible for others. One recent example is Meow Wolf, a Sante Fe-based art collective dedicated to installation art that emphasizes immersion and interactivity. Meow Wolf's work blurs the boundaries of fantasy and reality by creating physical spaces the viewer walks through, touches, dances on, and even plays with to tell a story. This kind of ambition can get expensive — enter George R.R. Martin. After the collective explained their ideas for a disused bowling alley to him, he bought it and leased it to them to facilitate their wildly successful House of Eternal Return project. "They explained this vision of a Victorian house, unmoored in time and space with a haunted forest and a magical cave system, and portals to other worlds," Martin remarked in 2016, "And of course, it pushed all my buttons. I love that kind of stuff." Happily, he's eager to share that love with the artists and residents of Santa Fe, and now Meow Wolf's horizon is quite a bit larger than it was pre-Martin. 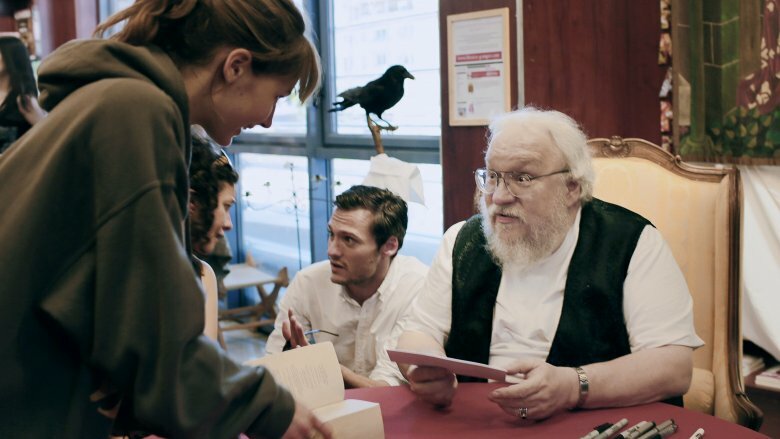 Just another day in the life of the man behind Westeros.